What to do if your FTP Client only shows 9998 Files. If you have a large Website and you’re storing a lot of Files in the same Folder, you might come across a little Problem, like I did yesterday. The Folder only shows 9998 Files. If there are more Files in it and you don’t know it, you might start a Backup and only download these 9998 Files and the others will be missing in the Backup. I’m using Filezilla and at first I’ve thought it’s a Problem of the FTP Client, but it is not. You have to change the Value of LimitRecursion in the File /etc/pure-ftpd.conf on your Server. It is generally set to ‘10000 8’. 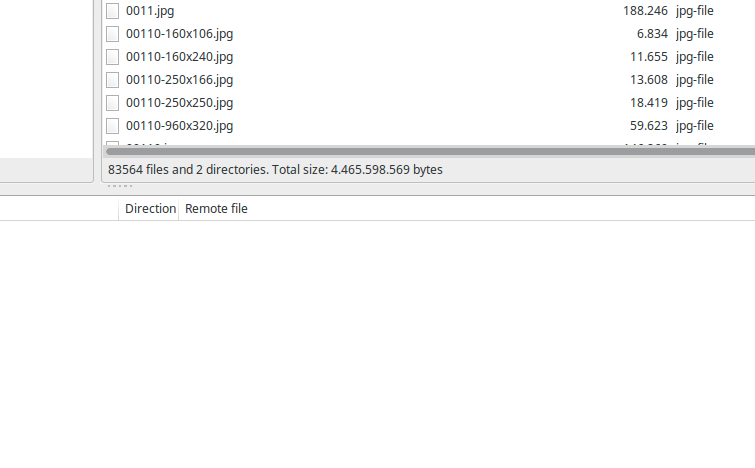 The first argument is the maximum number of files to be displayed. The second one is the max subdirectories depth. It is actually a bad idea to store so many Files in the same Directory, so it should be avoided if possible. If you don’t have root Access to your Server, you should submit a Ticket and let your Host do it for you.